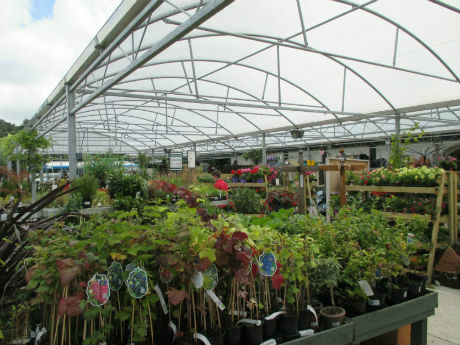 Have under-utilised areas! 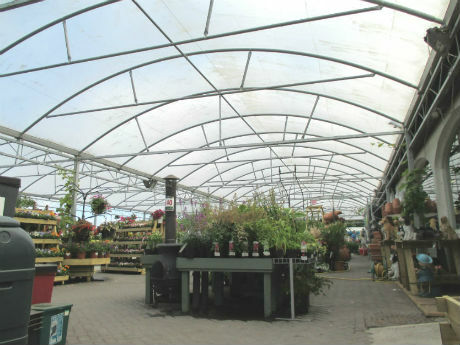 Our curved steel structures provide protection from bad weather conditions for people, products etc. 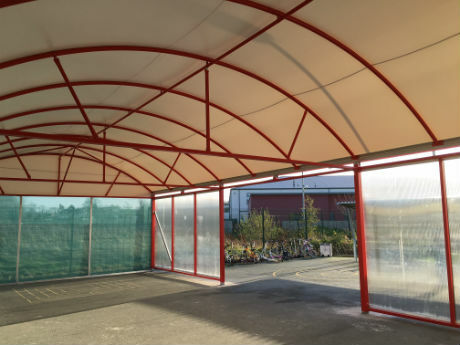 CWP Canopy structures can be manufactured and built to cover external areas where shelter is required. 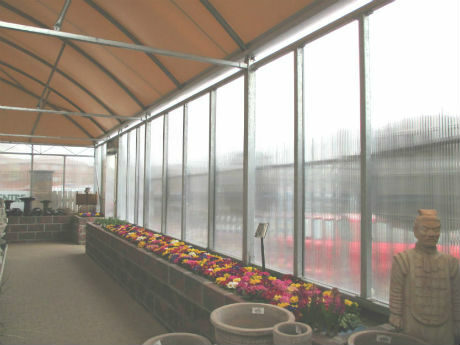 It quickly converts under utilised areas into valuable outdoor space protected from the elements. 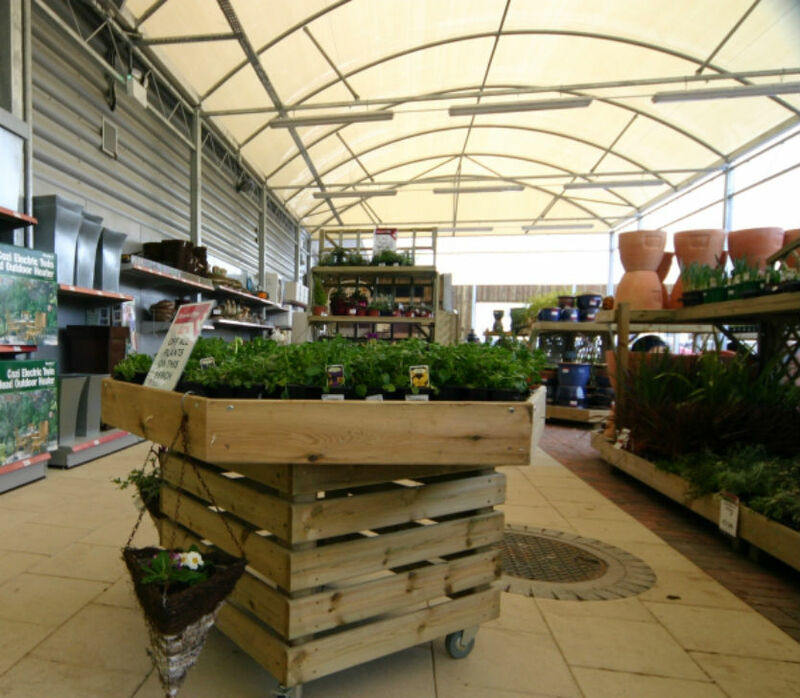 - Retail Display Areas for Garden Centres, DIY, Hardware etc. SMALL INVESTMENT, BIG RETURNS! 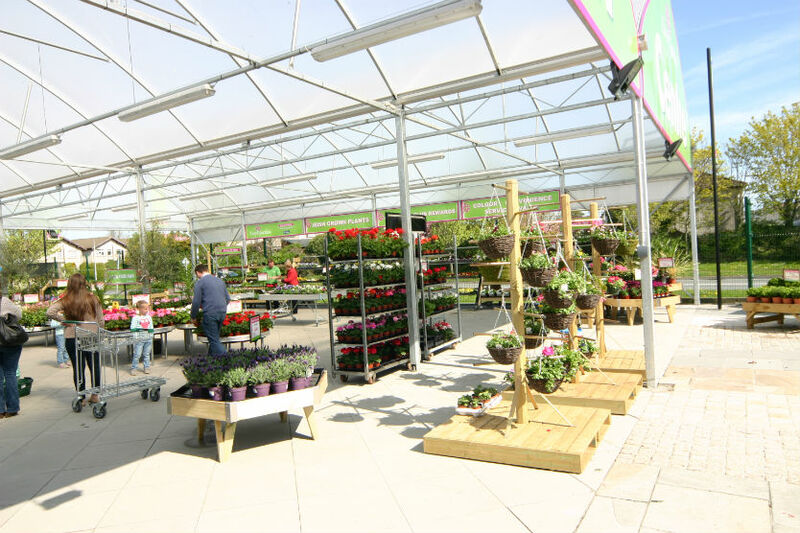 - Your financial outlay will be quickly recovered by a major increase in sales. 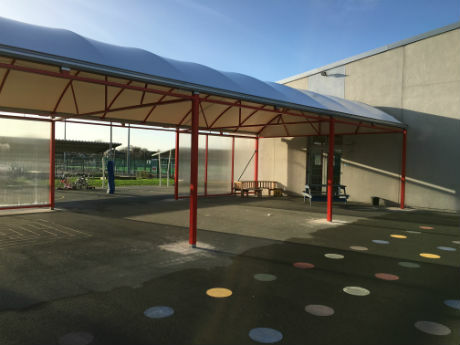 For schools, a valuable outdoor space is created that protects students from all weathers. 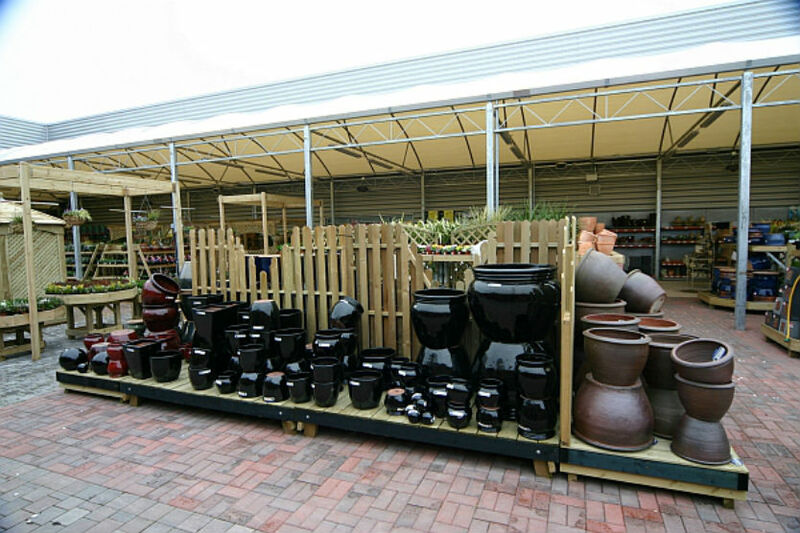 BUY DIRECT - You are buying direct from an Irish manufacturer, so there are no middle men or agents. 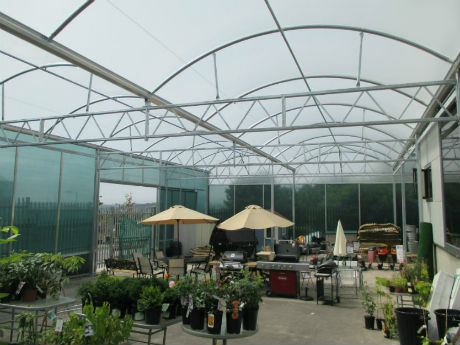 We are giving factory prices direct to our customer. 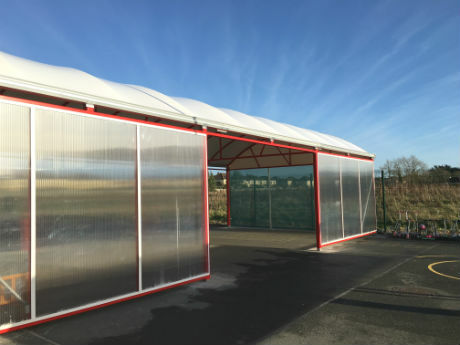 BUILD TO SUIT YOUR BUDGET - As our structures are modular and supplied in full kit form, they can be easily altered, extended or moved as you develop your business or school or as your requirements change. 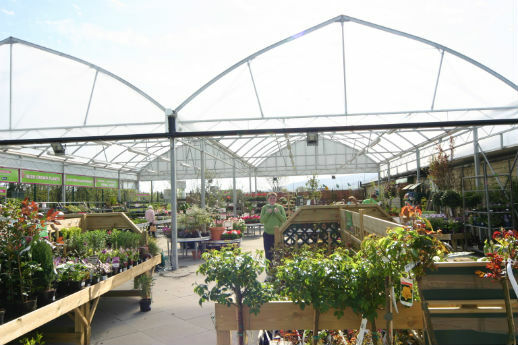 FAST & EFFICIENT CONSTRUCTION - Our canopy structures are constructed using a tried and tested building system of pre-engineered elements assembled on site. 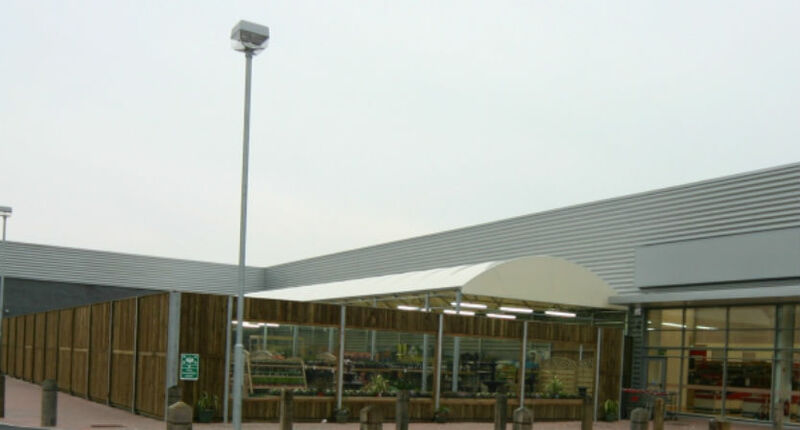 This minimises construction times and limits disruption to you and your project.